UFO SIGHTINGS DAILY: Ghost of Abraham Lincoln Spotted At The White House In Photo! March 2017, UFO Sighting News. Ghost of Abraham Lincoln Spotted At The White House In Photo! March 2017, UFO Sighting News. This is an exciting photo that has captured a ghost at the White House. The person is transparent, tall and confident as can be read from his stance. Ghosts are real, but could this be an alien visitor cloaked, watching the consecution of the most important house in America? Good find by Paranormal Crucible. After extensive authentication efforts, the "White House Ghost Photo," captured in 1950, has been proclaimed "The world's most amazing ghost photo. 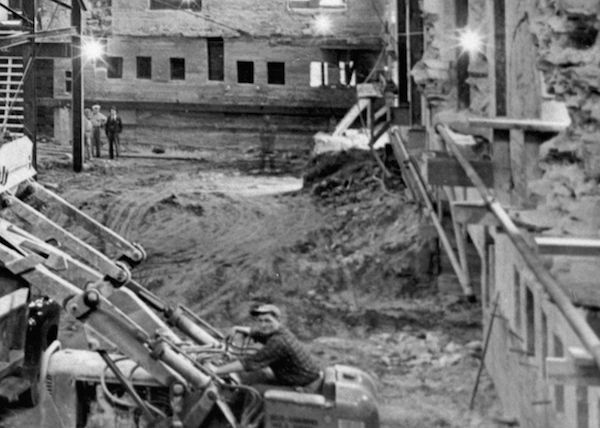 The black and white photograph appears to show a translucent human figure standing in the basement of the White House, at the back of a construction zone. This official government photograph was taken by photographer Abbie Rowe during Harry S. Truman's reconstruction of the White House 1949-1952. 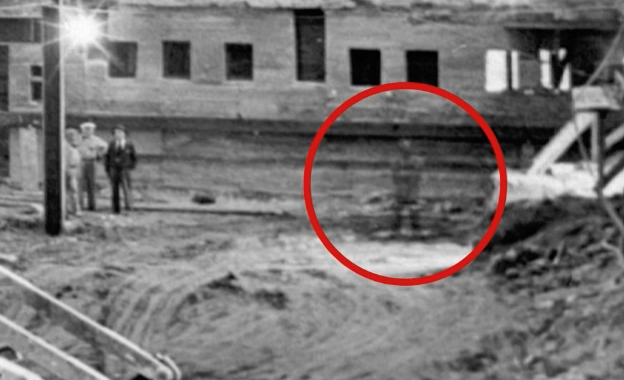 Many experts claim its the ghost of President Abraham Lincoln.